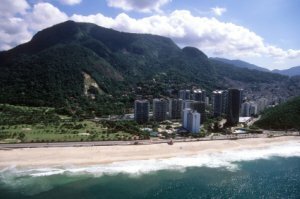 If you go to Rio de Janeiro, located between Leblon and Barra da Tijuca is the Sao Conrado beach. If you want to find the best place to relax in the sun and enjoy the beauty of the area, this is the spot. Here are 5 things you must know about this beach. Great For Surfing - Many experienced surfers choose this destination for the strong waves that are present here. The waves are typically between 50 to 150m on a good day and the swell is usually between 1m and 2m. The waves are the beach-break type and are powerful, fast and hollow. Awesome Hiking Trail - If you are experienced at hiking, you may want to check out the tour that takes in the Gavea Rock. This is a granite mountain on the shore and is great for those who love climbing. The tour takes about eight hours so it is advised that only experienced hikers should attempt it. The trip starts in the Atlantic Rain Forest and is a beautiful experience. The end of the trip will allow hikers the extraordinary view of the city of Rio de Janeiro and the ocean. A trained guide and those who are fit enough for the hike is essential. Paragliding - Another sport that is popular at Sao Conrado Beach is paragliding. This is an instructor assisted sport as well. The beginning allows a site of the Tijuca Reservation and the Atlantic Rain Forest. This is an area that has many colorful birds, squirrels and wild berries. This is guaranteed to be an adventure that will take your breath away. Proximity of Favela of Rocinha - Above the beach is Favela of Rocinha, which is the largest slum in Rio de Janeiro. There are approximately 200,000 people who live there. These areas of Rio are called favelas, which means shantytowns. If you decide on a tour of the Favela of Rocinha, it is advised that you take a guided tour for the safety as well as the learning experience. Inter-Continental Rio - Close to the beach is the Inter-Continental Rio. This is a high-end area that contains malls, exclusive golf clubs and high class bars. The one thing that you will notice about Sao Conrado Beach is the area around the beach, which contrasts severely. Just as the Inter-Continental Rio resides beside the Favela of Rocinha, the proximity of the high-class areas next to the slums. This is not unusual in Rio de Janeiro.